First Line:"I don't know how I knew, when the sirens woke me just before dawn, that they were for him." 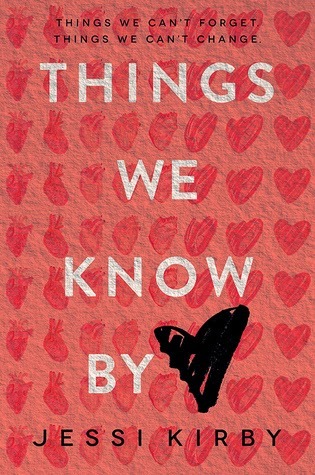 Review:When I picked up Things We Know by Heart I was expecting a raw emotional ride of a book instead I found it lacking of what I expected, nonetheless I did like it and found it to be a quick yet predictable read. Going in I knew the book would deal with life and death, grief and healing. So I was really expecting something that would just blow me away and probably have me shed a couple of tears of my own but that didn't happen. Quinn's boyfriend died a year ago and she is still not over it, she hasn't healed from it and is still very much grieving over him. One way she has tried to move on is by meeting all the people that received organs from him but you can clearly see that hasn't helped her one bit. There is only one person she hasn't met yet, the person who received Tren'ts heart...Colton. When they meet it's like her grief is just all of a sudden going away especially the deeper she falls for him. I guess that bugged me a little because now I'm wondering is the message in that whole thing that finding new love is what conquers grief? It really felt like she just replaced Trent with Colton and never truly healed. I would have loved the book more if we saw her dealing with her grief and healing on her own and because of that she slowly was able to let go and have a honest relationship grow with Colton. It also did take me a minute to really like Quinn. I don't like how she lied to Colton...okay more like a lie of omission but it went on for so long it wasn't right. She had so many chances to tell him who she was and instead I felt it was selfish of her not to tell him especially seeing what he was going through. Now as for Colton, I loved him. I honestly wish there were chapters in his point of view. He was happy to be alive but he lived with the guilt that the reason he was alive is because someone died, and his life still isn't easy after the fact because he is on a whole bunch of medications for the rest of his life, the people around him treat him like he is fragile and all he wants to do is live his life and not be reminded about his heart condition. I would have also loved it when after Colton did learn the truth about Quinn we got a more in-depth exploration of his emotions the anger he must have felt and the betrayal or even guilt. Overall Things We Know by Heart was actually a quick easy read which I didn't expect. I liked the story but it could have been so much more. ~"....but it's terrifying to realize how much of your world is wrapped around loving another person."